Plymouth Pride March outside the Civic Centre 2009. 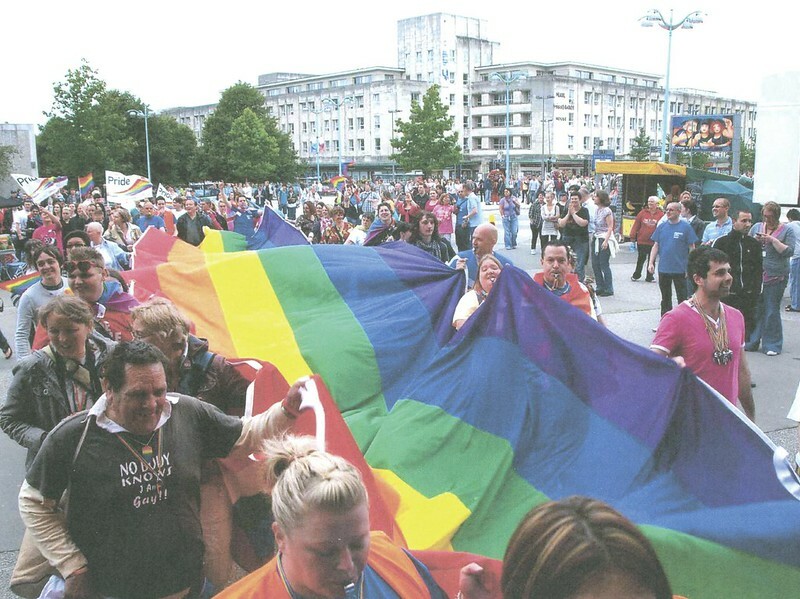 Since 2000, Plymouth’s LGBT community has become more visible and established itself more publically in the city. A wide range of activities and events, including candlelight vigils, protests and celebrations have helped to do this – drawing more attention to the diversity that has always existed here in Plymouth. This is the winning entry of the Pride in Our Past photography competition. 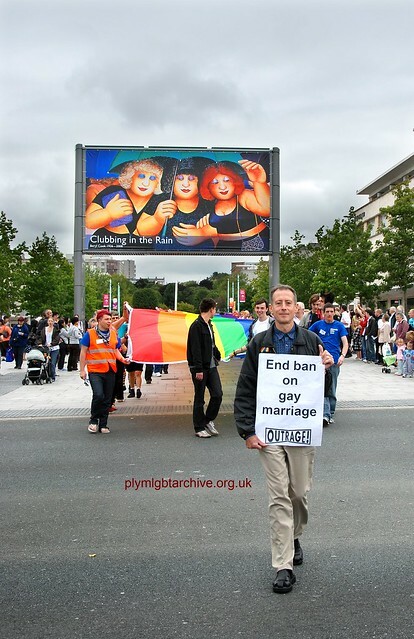 A photo taken by photographer Kevin Kelland showing Peter Tatchell leading the Pride Flag across Royal Parade, Plymouth for the cities Pride Event 2009. Peter is proudly displaying an ‘OutRage’ placard calling for the end of the ban on Gay Marriage. This photo along with runners up was displayed as part of the Pride in Our Past exhibition 2012.